Home Uncategorized Organize Your Office This Season With These Spring Cleaning Tips! It’s that time of year again! Out with the old and in with the new, spring is the perfect opportunity to start cleaning your office. Get organized and be sure to check out these office spring cleaning tips. Looks like a tornado tore through your office? It can be hard to find the files you need. Get your papers and files organized with the right filing system. Start by taking the time to go through and separate the papers into three piles: ones to keep, ones to toss, and ones to shred. 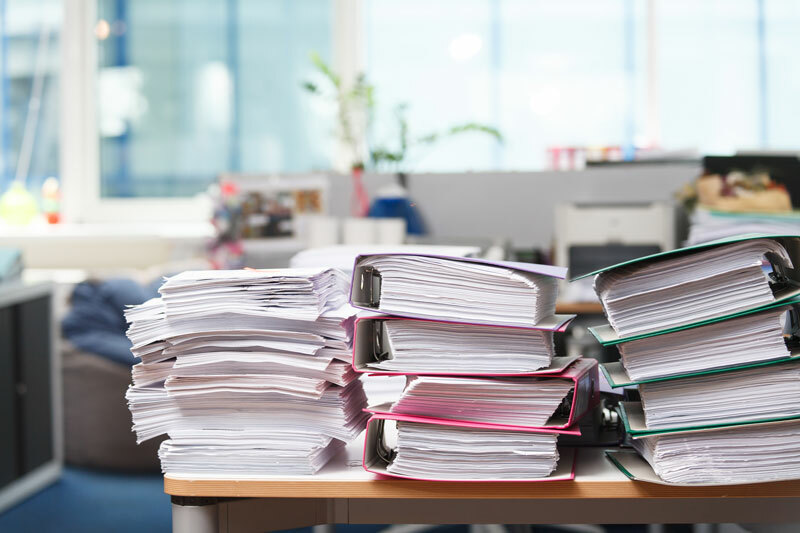 Once you have your papers to keep, be sure to file them away so that your office stays neat and organized. Try clearly labeling them so that they’re easy to find. Make sure to organize your computer. Nowadays more and more documents are stored digitally. With busy schedules, it’s far too easy to “save to desktop”. Be sure to take the time to sort through all your files. Create folders to store all the information you need and be sure to trash the ones you don’t. You’ll open up space on your hard drive and you won’t have to look at a cluttered desktop. Just be sure to back up your files and protect your documents with the right antivirus software. With allergy season on the way and flu and cold season still lingering, it’s important to keep your workspace clean. With so many people in an office, you often touch the same surfaces making it easier to spread germs. Make sure to wipe down your keyboard, phone, and doorknobs with sanitizer every so often. Get to cleaning your commercial property! For assistance with decking and waterproofing your commercial properties, contact SBR Roofing. Located in Burbank, California, we offer the best roofing, decking, or solar panel services in the Greater Los Angeles area.